and is the water supply for many towns, including the city of Adelaide. 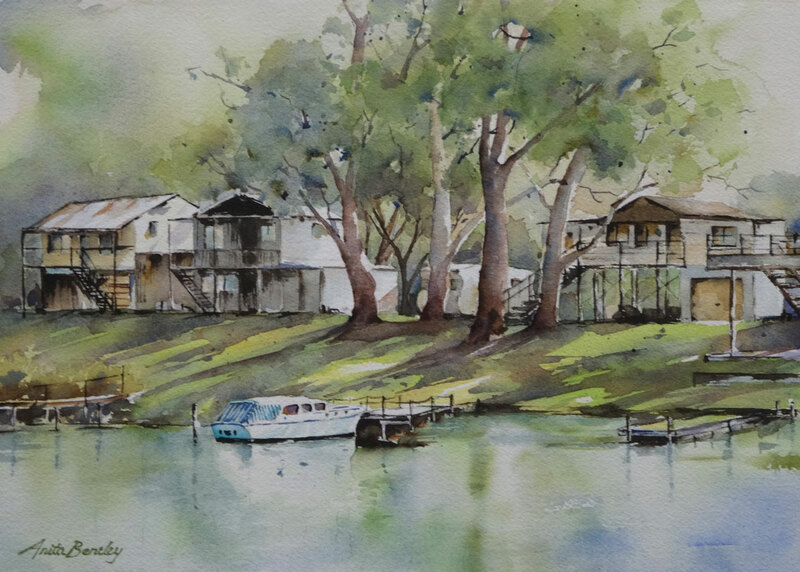 Along the banks of the Murray are many and varied "shacks"
with small landings for boats of all types. and is typical of many stretches of the River. 30% OFF MY UNFRAMED PAINTINGS FOR CHRISTMAS!